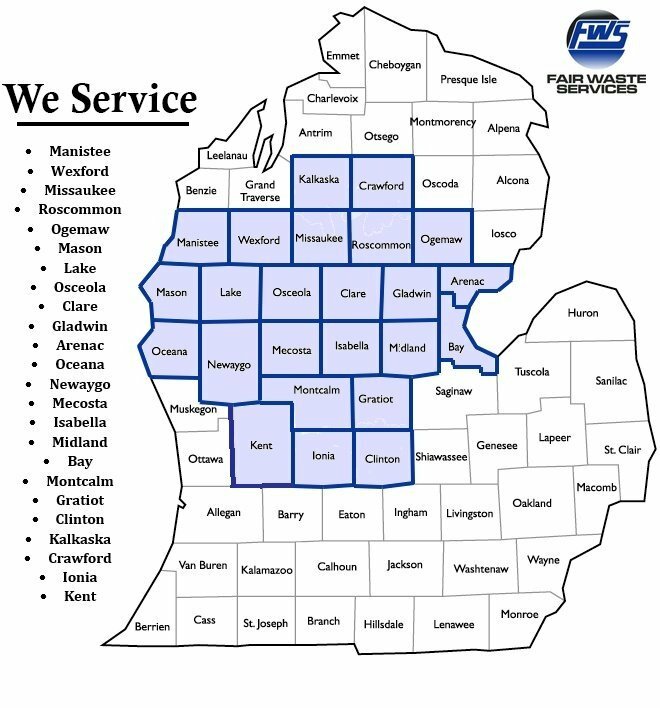 You may not know, but waste management services from Fair Waste Company in Reed City, MI, is about more than just trash collection. If you’re new around here, we offer regular recycling opportunities for interested parties. Perhaps you know your way around town pretty well, but you’re clearing out an old home and trying to get it ready to put on the market? Well, we offer some of the most convenient dumpster rentals in Reed City, MI, that you can find. From daily waste removal to helping with some bigger trash troubles, we are your source for waste management solutions. For a wide range of trash troubles, we can help you find the right solution for you. Our team is fair, friendly, and reliable. We make sure that our customers are satisfied with the services that we provide, and we help our clients to make informed decisions about how they choose their waste management. Our openness to help our customers translates into excellent satisfaction and trust for future needs. If you have any questions about the waste services that we offer, our pricing, or our locations, then feel free to contact us today and we’ll be happy to assist you.